Sort and Count- A new wooden shape sorting house. Every side includes openings for shape sorting. 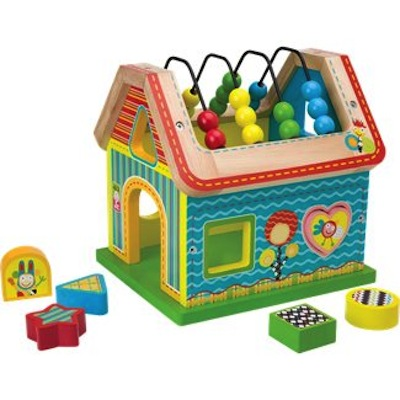 Wooden house shape also has beads for counting on the roof. Includes 6 colorful shapes. Made of wood in bright colors and whimsical graphics. Part of the mix 'n max line of baby toys. Perfect for ages 10 months and up.